More about Marimekko Unikko Red / Plum / Pink Apron Bring a fresh take on festive decor into your kitchen this season. 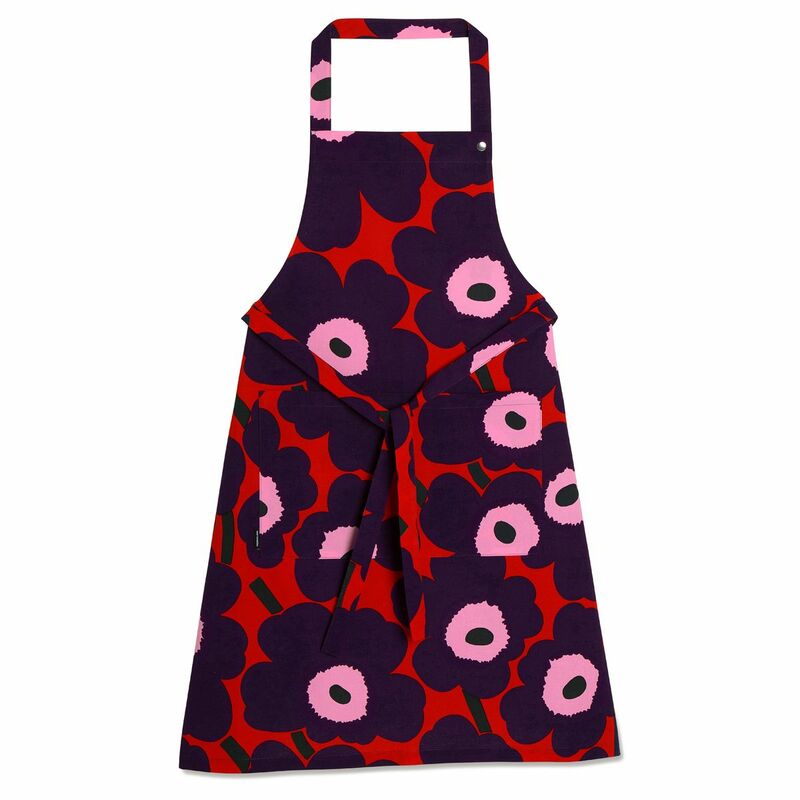 Maija Isola’s iconic Unikko pattern is updated in an unapologetic colorway of red, plum and pink on this 100% cotton apron. As functional as it is beautiful, it has an adjustable snap closure neck strap and lengthy waist ties to fit from one cook to the next with ease. I bought this apron as a gift to my friend & she likes it, too!